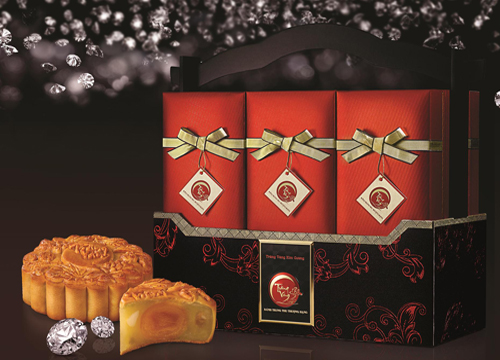 With luxurious flavor along with creative quintessence, boxes of Golden Moon cakes are luxurious presents for your partners and dear customers. 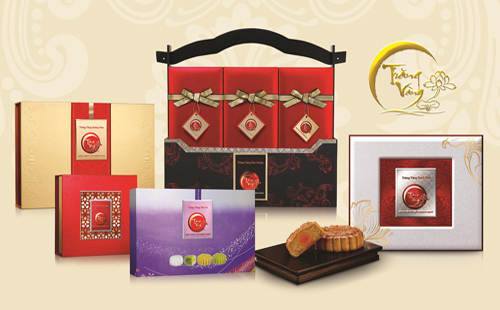 Among different kinds of mooncakes, the collection of Golden Moon still remains a important position of those who prefer quintessence and distinction. Each product of Golden Moon brings meaningful name such as Diamond, Golden, Platinum, Ruby, Crystal. 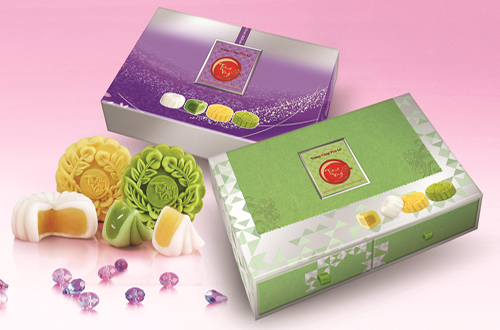 Getting ideas from the essence of the sea such as shark fin, abalone, sea cucumber, Huynh De crab, Japanese scallops, Tu Quy lotus seeds, Almond chickpeas, Kinh Do always comes first to produce modern creative Mooncakes which match customers’ requirements. 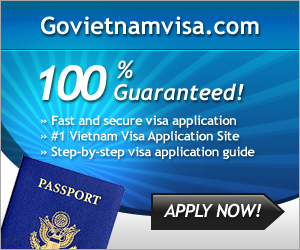 The collection is considered as a gift demonstrating the lasting gratitude. Each work of Yellow Moon is a delicate and delicious taste. The highlight of this year is products of Crystal Golden Moon with Japanese and Korean styles. Unique fillings as snow egg milk, snow black sesame or green tea Mochi, pineapple leaves Mochi, etc. bring unforgettable flavors, awake every eater’s sense. Especially, along with each box of Golden Moon are well-designed cards. Mooncake boxes always contain a certain meaning. In the past, it was the gift containing precious things of Heaven and Earth, expressing the gratitude, with the wishing of making mutual relationship closer. At present, the pace of life is busier, but on every occasion of Mid Autumn festival, boxes of Golden Moon make people feel happy and remember their close relationship. Another special thing of each box of Golden Moon is that they are designed in different styles to match for each object. On mid- autumn occasion, people exchange Moon Gold Diamond to keep good relation forever. 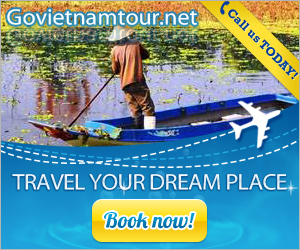 Golden Moon Platium is pure and noble, but is filled with a feeling of closeness and sincerity to show more gratitude. Golden Moon sends cherish greetings to moments of family union, and Ruby Golden Moon is instead of wishes for lasting intimacy.